How does it work and where did it come from? 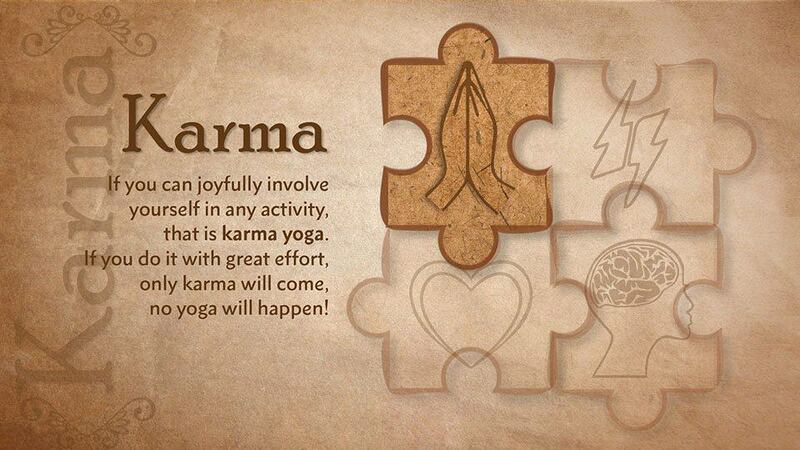 Karma is an ancient Sanskrit word that literally means action. Within the backdrop of Vedantic and buddhist philosophy, and the growing momentum of humans to experience the workings of the universe and our own spirituality, it has more connotations. It often comes with the understanding that actions have results, not only to the external environment, but also in individual human tendencies to create significance from and beliefs about experiences. This is what shapes each ones’ own sense of identity, or in a yoga perspective, separateness. Technically this affect of action, or karma, is called sanskara, the impressions that influence future actions. I believe existence started as spiritual consciousness and evolved to matter, and then eventually to what I might call “manifest consciousness” or life. This fits with the story that many people call the fall of humans, a fall from a state in which we were beyond physical bodies and unbound by the “laws” of time and space, knowing love and oneness. Looking at this “fall” in terms of a chakra perspective of consciousness, your spirit descended down to this “Earth” plane to be able to play with more intricate forms and create new knowledge. 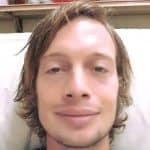 When the knowledge that comprises you, your vibrational signature, becomes seminal to the evolution of spiritual consciousness, it goes back up through the chakra and makes enlightenment, an awakening in spiritual consciousness, something that was laying latent until your human soul popped it’s head it and said, “Hey! Wake up with me!”. Suddenly you’re breaking fast in a new dimension you can’t yet explain, nor have need to. You leave the body for awhile. Maybe you come back to this body, maybe another. Human beings represent the newest frontier in which the original consciousness can explore and study the interactions of it’s ever more subtle yet stimulating creations. You can see it in every facet of our interests; our sexual energy, emotional bonds, the hurtling speed of our intellectual and technological advancement…All of this is to make smaller actions, more refinement, and to see that while we may become disillusioned in a new complexity, love still operates there. No matter how many ways you cut up it, everything still wants to be it, connected, and accepted. All of our karmic traces, or sanskaras would appear to be the trickle down affect of pure and complete oneness becoming twoness, then threeness, and then…Ohhh how far are we now? That’s a deeep rabbit hole. Karma is the process of the universe in multiplicity and the evolution of the human soul. So then, do we have any options or is it just some unfathomable math equation playing out? Of course, we have choice. I feel it anyway. Human choice is always about how much we open ourselves to what is really going on, and whether we create belief in it’s relevance to our identity. The sanskara pulls similar experiences back to us, like feedback or an echo from the karma as a kind of check test. Do you still identify this way? When the manifest consciousness can recognize itself through the superficial experience of identifying, the sanskara is reduced or removed. This is one of the affects of meditation. You spend a time not identifying and some of your perceptual tendencies becomes reduced or removed. You become less committed to ego created roles and more dedicated to love and self-less, universal purpose. The common misconception about karma is that the things you do will be the things that happen to you. While this may be the case, it is much more accurate to say it is the inner experience you create that will come back to you. This explains some of the perceived incongruity between peoples’ actions and their life experiences. A common pondering about karma is pure bewilderment at how many perceptual tendencies we have, the complexity of their relationships, and the span of their cycles. I can only suggest have awe and gratitude for the amazing degree to which our “oneness” has made you unique, capable of the greatest of love, and adorned us with the grandness of the cosmos. Whether we make good or bad karma, it still keeps us from evolving spiritually unless we are learning to look through and see that actions do not touch the true core of being. That being said, I would like to believe that the world of form and action has a propensity towards the positive spectrum, as it is not only alluringly beautiful, but has a lightness which allows us to see through to that original being of infinite peace and love. We can all act as karma reducers for each other. When we receive one another’s actions without judgement, without critically self interested re-action, we can dissipate some of the sanskaras by making a space for the other to see themselves and without reinforcing their identifying processes. If we keep swapping these actions with this attitude we reduce karma and increase knowledge as well.